Following on from an earlier blog post this week, which discussed the establishment of the First Māori Contingent, this post looks at the involvement of these troops during the First World War. Following severe New Zealand losses the Māori Contingent were sent to Gallipoli in July 1915. They landed at ANZAC Cove on 3 July and were attached to the New Zealand Mounted Rifles Brigade. They were employed as pioneers, digging trenches and clearing mine-spoil at Quinn’s Post and dragging water-tanks up onto Plugge’s Plateau. They dug the Great Sap, which was an eight-foot deep communication trench wide enough to carry two stretchers side-by-side. This ran along the beach connecting Walker’s Ridge with the northerly outposts of the ANZAC perimeter. However Māori soldiers were soon fighting in a combat role. Second Lieutenant Thomas Grace led a team of marksmen and scouts who cleared Turkish snipers from Monash Gully. The Māori Contingent pushed the Turks off Table Top Hill with a bayonet charge. Then in August 1915 the contingent was divided into platoons among the New Zealand Mounted Rifles regiments for the attack on Chunuk Bair. Later in August the weakened Māori Contingent was again committed as part of the Mounted Rifles when they seized Hill 60. This destroyed the Māori as a fighting force. When they were evacuated from the peninsula there were only two officers and 132 men left of the 477 who had originally landed at Malta. On 20 February 1916 the Māori Contingent and its reinforcements, the shattered remnants of the Otago Mounted Rifles and other New Zealand Mounted Riflemen were reorganised as the New Zealand Pioneer Battalion. Both Māori and pakeha resented becoming pioneers, whom they thought were second class soldiers. However pioneers were important in modern warfare; they dug trenches, built bridges and laid railway lines. The pioneers were the first troops onto any battlefield. They worked and died alongside the infantry and were the last to leave it. Initially there were two Māori platoons and two pakeha platoons in each of the Pioneer Battalion’s four companies. In April 1916 the battalion landed at Marseille in France, and it moved to Armentieres in the combat zone on 15 May. 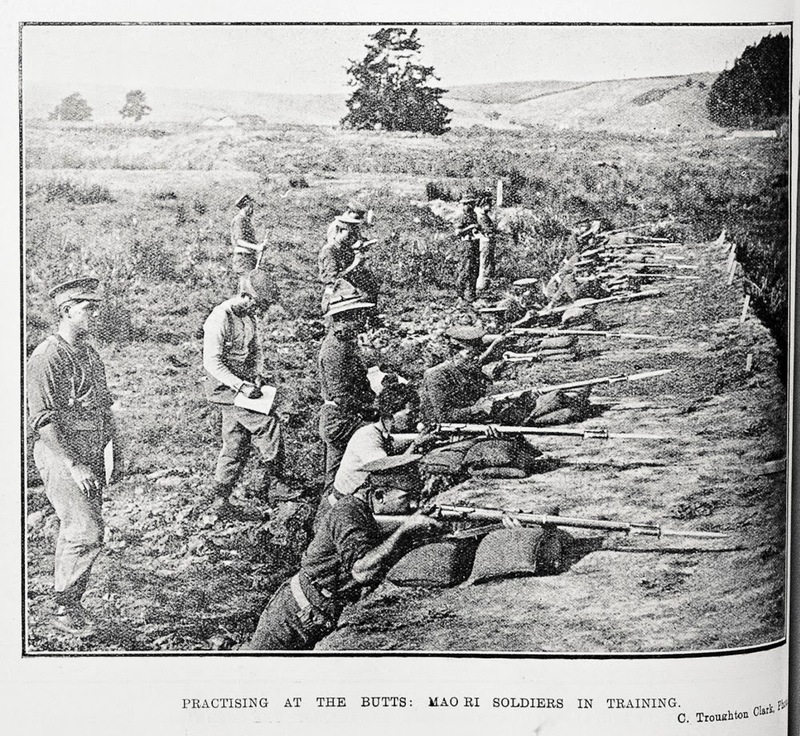 Not long after the battalion’s arrival, in June it was reorganised again so that there were now two Māori companies and two pakeha companies. 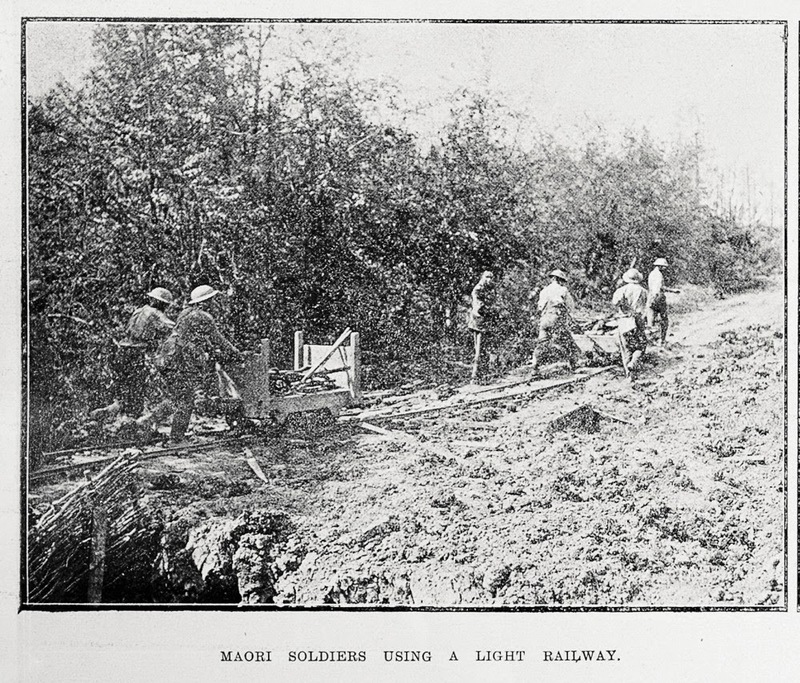 Now war-work began in earnest; with the pioneers digging trenches, laying railway lines and plank roads and building casualty clearing posts and bunkers. Then in late August 1916 the battalion moved to the Somme battlefield to dig the Turk Lane and Fish Alley communication trenches in preparation for the Third Battle of the Somme which began on 15 September. By early February 1917 growing numbers of Māori, Rarotongan, Niuean, Samoan, Fijian, Tongan and Tahitian reinforcements meant there was now only one pakeha company in the battalion. In June the battalion moved to Messines, where it was employed building hutted camps and dugouts and laying railway lines prior to the offensive. As the attack went forward, the pioneers went with it; digging communication trenches and extending railway lines into captured territory. By August 1917 there were now enough Māori in the battalion, and Māori reinforcements, for the pakeha company to be posted to other units in the New Zealand Division. Māori numbers were even strong enough for the Rarotongan Company to be sent to Palestine and the rest of the Pacific Islanders to be gradually sent back to New Zealand, because they could not cope with the cold French weather. On 1 September 1917 the battalion was redesignated the New Zealand (Māori) Pioneer Battalion, and the original badge of the Māori Contingent was restored. Then in October 1917 the battalion moved into the mud and swamps of Gravenstafel below Passchendaele and the Belle Vue Spur, where they worked to lay plank roads so guns could be brought forward over this man-made morass. However it was all too often in vain; and often gun-team horses sank belly-deep in the mud as the planks gave way. When this happened hundred-man teams of pioneers had to drag the guns forward. After the Germans’ last great push ran out of steam by May 1918, the pioneers were kept busy supporting the allied advance by keeping the roads open, repairing bridges and filling shell craters. By the end of the war there were 900 men in the New Zealand (Māori) Pioneer Battalion. The battalion’s last battle was when the New Zealanders captured Le Quesnoy on 4 November 1918.